While I focus mainly on movies through this site, I don’t want to ever give the illusion that TV isn’t a priority of mine. With that in mind, I thought the launch of the fall season would be the perfect opportunity to go through a few of the great TV shows that haven’t made the cut in the past, and a few of my personal favourites. We can see a lot of styles defined and improved in failed television series, whether the players involved were writers, directors, actors, or filling any other job on set. It’s always an interesting study to watch the evolution of a creative professional through their work, and many of the best have early failures that helped create the style they are known for now. Before he was known for writing The Social Network (2010), writer Aaron Sorkin was best known for his television work, including the hit show The West Wing (1999-2006). Mostly forgotten, however, is a little show he created called Studio 60 on the Sunset Strip. 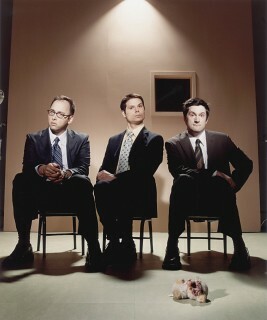 Running only one season, Studio 60 premiered the same season as the comedy favorite and similarly themed 30 Rock (2006-Present) and debuted to massive fanfare. Truth be told, the pilot episode from Studi 60 is one of the finest television scripts I have ever read (the script was titled Studio 7 on the Sunset Strip), and is one of the most engaging and exciting pilots I have ever seen. Take the opening scene. In the scene Wes Mondell (Judd Hirsch), a play on SNL creator Lorne Michaels, loses his battle with the network to air a controversial skit. What follows is television gold. Through this opening alone, you can see the famous Aaron Sorkin ability to write dialogue. Not only does Wes Mondell’s speech set up the entire premises of the series, but the subplot involving Cal Shanley (Timothy Busfield) beautifully sets up the play of the Studio 60 family against the network brass. 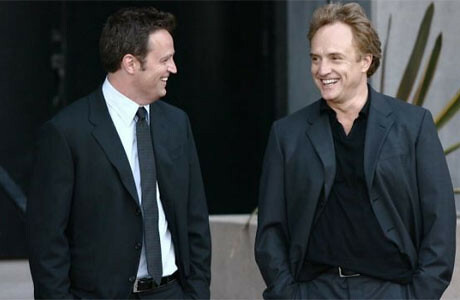 All this goes without even mentioning the main protagonists in the series: Jordan McDeere (Amanda Peet), the new president of the NBS network, Jack Rudolph (Steven Weber), the Chairman of NBS, and Danny Tripp (Bradley Whitford), a former AD on Studio 60 who has returned to produce and direct the show. Each of these characters are well developed and intriguing to watch as they evolve over the course of the season. The one character I have purposefully avoided until now is Matthew Perry’s Matt Albie, former staff writer who has returned to the show with Danny Tripp to co-produce and be the head writer. This is the show that sold me as a lifetime Matthew Perry fan. Matt Albie is a well-written character, but Matthew Perry’s portrayal takes the character to the next level. Interestingly, this Matt Albie’s main issue is that he doesn’t have any true issues outside of recurring love interest Harriet Hayes (Sarah Paulson). He doesn’t have a drug issue, at least to begin the season, but brings that pressure upon himself due to Danny Tripp’s recurring drug addiction. His pressure is to write an amazing show every week, but he also takes on a lot of the pressure from Danny Tripp’s side of the show. The play between these two characters, and how they both come together to create one functioning human, is one of the hilights of this series. 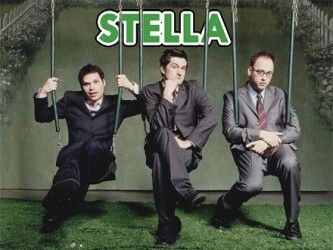 A Comedy Central show that was tragically short lived, Stella was born out of a live comedy troupe starring comedy mainstays Michael Ian Black, Michael Showalter, and David Wain. This is one of the all-time great examples of perfectly non-sequitur comedy. Never knowing what twist was coming next, and not wanting to, Stella is a great example of how to let your restraints go. To use a phrase I use frequently with The Muppet Show (1976-1981), Stella is completely unbridled creativity. Look at when Michael, Michael, and David decide to grow their own vegetables in their apartment, or when David assassinates Michael Ian Black as he is running for building president. Sadly, I wasn’t able to find any clips from the TV series on YouTube, but there is a plethora of their stage work and short films available on the internet. The nerd in me comes out when speaking of this beloved sci-fi series. Creator Joss Whedon has struggled to find a show with the same staying power since his days on Buffy the Vampire Slayer (1997-2003) and Angel (1999-2004), but just before both went off the air he had a show that rivaled them in quality. 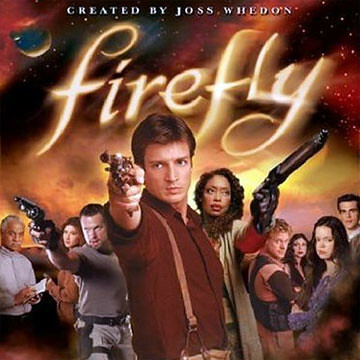 Following the crew of the Firefly-class ship Serenity, Whedon perfectly blended the genres of Western and Science Fiction in this show. That is a feat not to be taken lightly as others have tried and not been as successful, namely this year’s Cowboys & Aliens (2011). The hallmarks of this series are the same as from previous Whedon classics. Witty dialogue and excellent action can be found throughout, with just the right dose of humor. What sets this apart is the language used in dialogue, and how it matches the setting. Not only is the Western jargon spot on, but it is infused with Chinese dialect, creating a unique world in the future when America and China are the only two superpowers to survive. All of these are fantastic series’ that I can’t recommend watching enough, what are some of your favorite cancelled shows? Or what are your favorite moments from the shows mentioned above? Leave your thoughts in the comments! 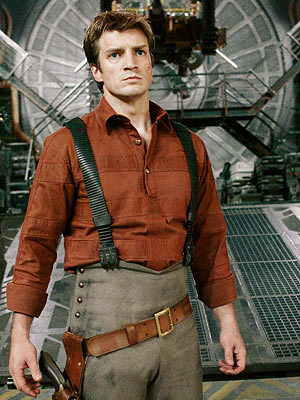 I loved Firefly and Caroline in the city. I was just starting to get in to the Matthew Perry show, had seen a few episodes. 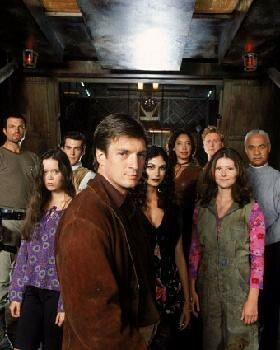 But your right about Firefly. I hope they make a movie.